Medical News Today: What are the health benefits of passion fruit? Medical News Today: Which herbs help reduce inflammation? 5-Ingredient Peanut Butter Granola Bars are a breeze to make and perfect for lunch boxing, grab-and-go fuel, or afternoon snacking for kids & adults. 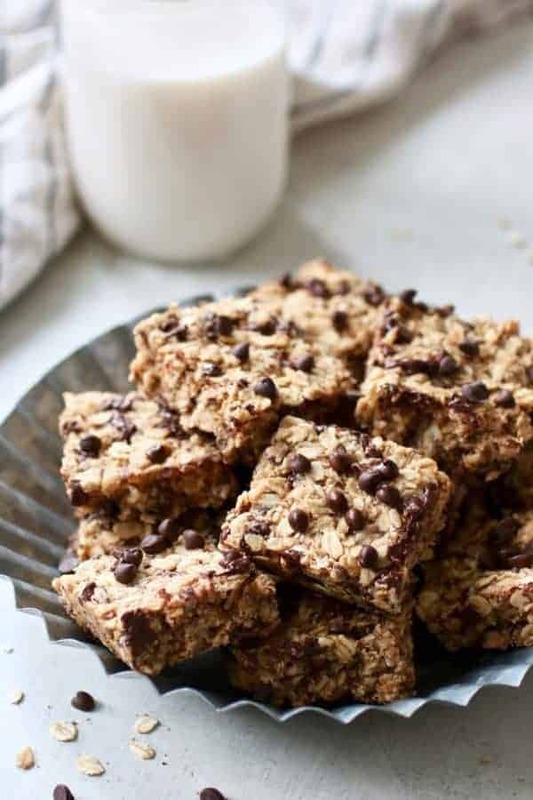 Skip the grocery store and make granola bars right in the comfort of your own kitchen! Not only will you save money, but you’ll also be 100% in control of what’s going into the granola bars. Most store-bought granola bars have a lengthy list of ingredients, are made with refined sugars and also include an array of pesky preservatives so they’re able to hang out on the shelves for a longer duration of time. No thank you! 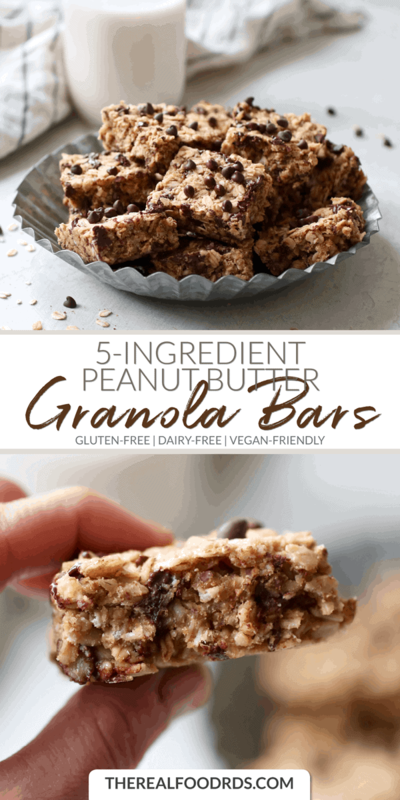 These 5-Ingredient Peanut Butter Granola Bars are simple to make, made with only real food ingredients and are refined sugar-free. Best of all, you know exactly what goes into them! And I don’t mean to toot my own horn or anything, but I must say, they beat any boxed granola bar in terms of taste. Peanut buttery, chocolatey, subtly sweet and an oh-so-chewy texture! You can’t beat that. Spruce them up with what you have on hand! 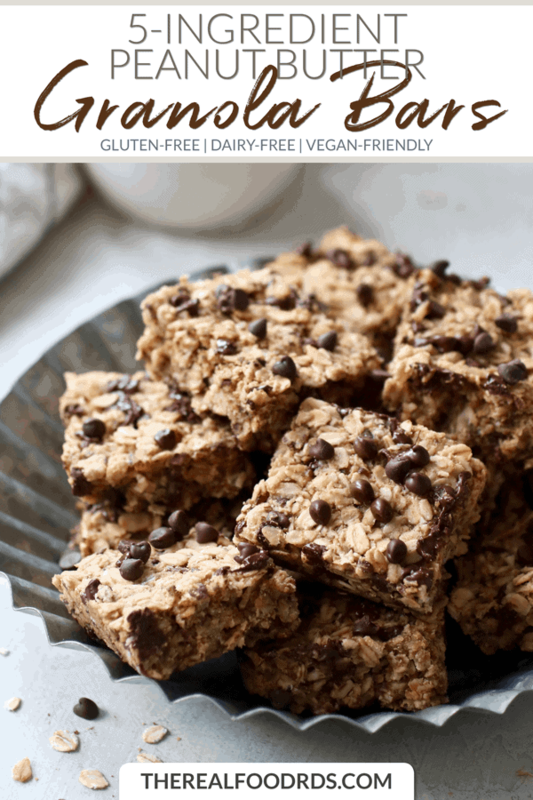 I left this recipe pretty lean with only a few ingredients, but by all means, feel free to customize the bars and make them your own by adding a few extra ingredients. Simply take a quick scan of what’s floating around in your pantry and get creative with what you have on hand. 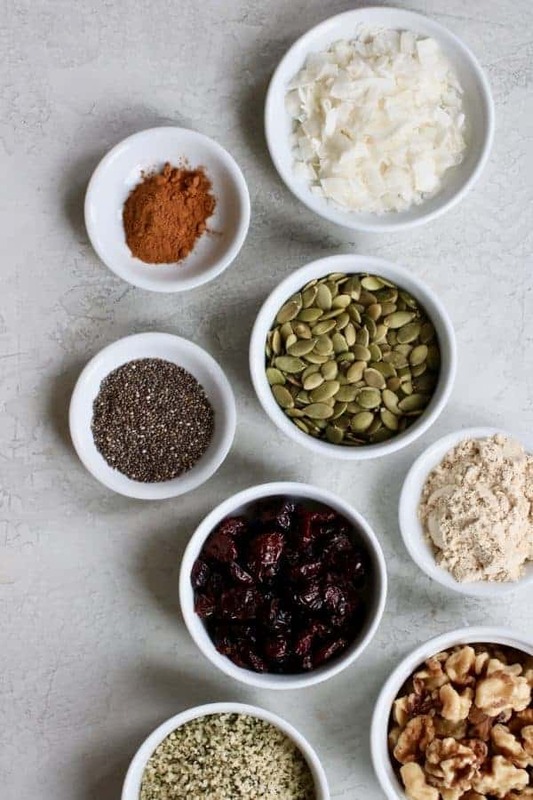 Some of my favorite additions include dried cherries or cranberries, raisins, chopped dates, dried blueberries, coconut flakes, sunflower seeds, pumpkin seeds, chia seeds, hemp seeds, walnuts, pecans, almonds, cinnamon, nutmeg, or pumpkin pie spice. Let your kids use their creativity and have them choose a couple of additional ingredients. If you want to up the protein, simply substitute 1/3 cup of protein powder for 1/3 cup of the oats. Also, feel free to use any nut or seed butter of your choice. Get your kids involved in the kitchen, too. 5-Ingredient Peanut Butter Granola Bars are easy enough for even the kids to make. With just a little guidance, your kids will have no problem following the recipe successfully. In fact, I encourage you to let your kids take charge. They’ll gain some kitchen skills and take pride in their creations. And there’s a good chance that by involving them more in the kitchen they’ll be more apt to try new foods. Wouldn’t that be nice?! I may have to use my own advice and try this with my hubby! 5-Ingredient Peanut Butter Granola Bars are meal prep-able and freezer-friendly! I almost always include some sort of energy bite or bar recipe with my weekend meal preps. They make for easy on-the-go fuel and I also like to stock my freezer with a couple of different options so that I have something on backup during those times when a meal prep doesn’t happen. To freeze: Once the bars are done baking, let them cool completely and then cut into squares. Transfer to an airtight, freezer-friendly container separating each layer with parchment paper. 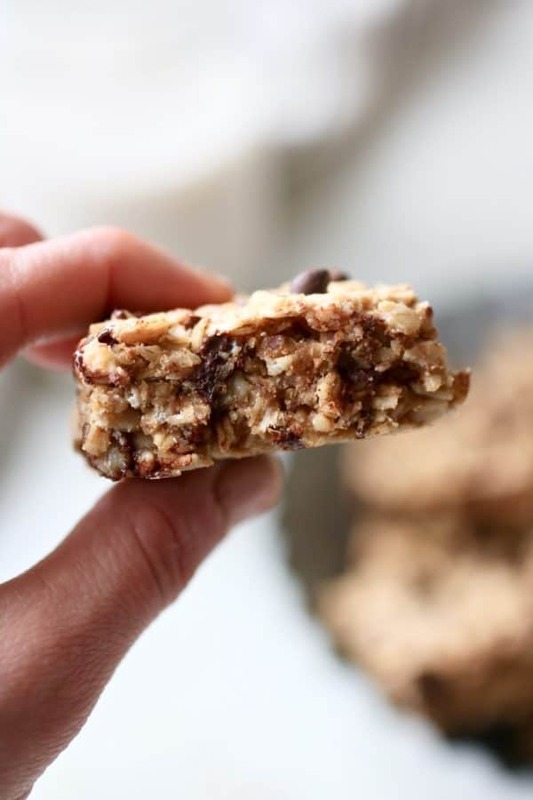 Some of my other favorite bites and bars to meal prep include: No-Bake 3 Ingredient Peanut Butter Bites, No-Bake Fruit & Nut Granola Bars, Trail Mix Energy Bites, No-Bake Pumpkin Chocolate Chip Granola Bars, and 4-Ingredient PB & J Bites. Alrighty, I think it’s time for some baking! 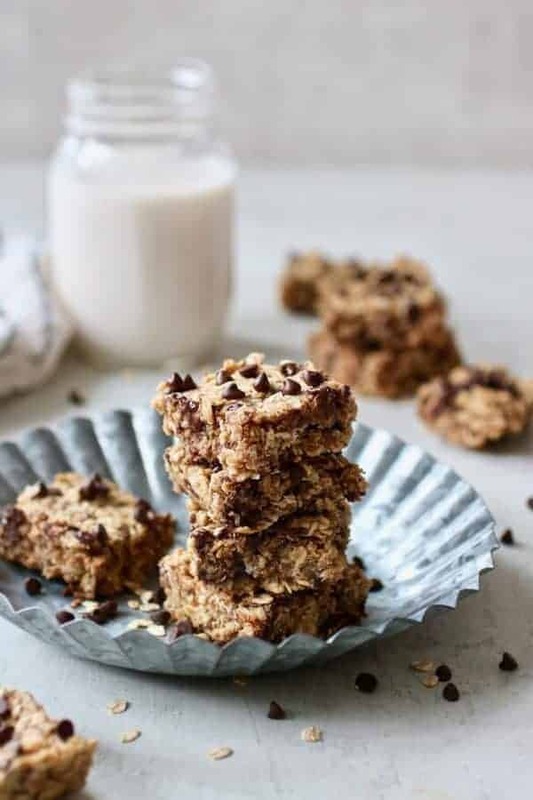 We’d love to hear if you give these 5-Ingredient Peanut Butter Granola Bars a try, and please do let us know if you add any additional ingredients to the recipe. You’ll never need to (or want to) buy a box of granola bars again! 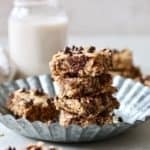 These chewy 5-Ingredient Peanut Butter Granola Bars are a breeze to make and a perfect lunchbox addition or afternoon treat for kids and adults. Combine all of the ingredients in one bowl and mix well. Transfer to a greased 9 x 9 inch baking dish and firmly press into pan. *Flax egg: 2 Tbsp. flax meal + 5 Tbsp. water. Let set for 5-10 minutes. All photos and content are copyright protected. Please do not use our photos without prior written permission. If you wish to republish this recipe, please rewrite the recipe in your own unique words and link back to the source recipe here on The Real Food Dietitians so credit is given where credit is due. Thank you! Previous articleMedical News Today: Which herbs help reduce inflammation? Next articleMedical News Today: What are the health benefits of passion fruit?